Decathlon Coach : Shutdown, pauses and GPS error : maximize your application ! To operate, the Decathlon Coach app needs much more power (GPS, processor, Bluetooth etc.) compared to certain apps (message, mail etc.) to perform a session. And power means battery life. 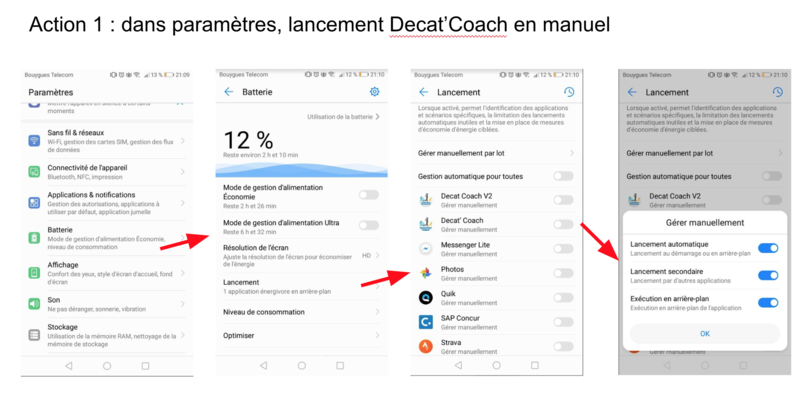 However, since Android 6 came out, power saving systems label Decathlon Coach "negatively" and close down either the whole application, or certain options such as GPS, with unfortunate timing. This means that the application "crashes" or it is automatically paused, and your route may be incorrect or non-existent in your summary. The models that are most affected by this are the Samsung, Huawei, Honor and Xiaomi models. To get the best out of your app, I recommend you follow these different tutorials to disable the power save settings. 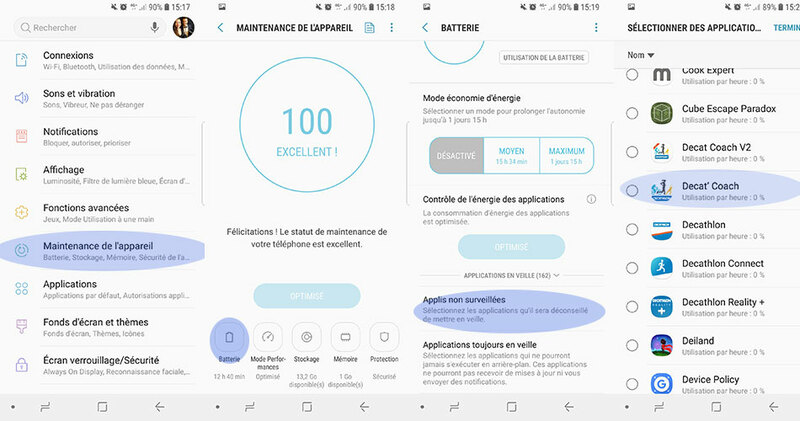 Notes: depending on your phone and Android version, the menus can be slightly different.